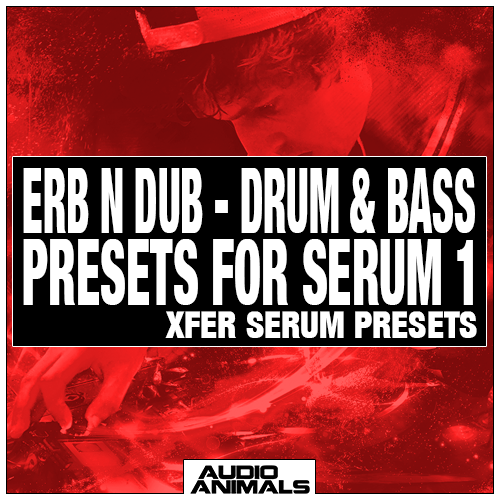 Erb N Dub – Drum & Bass Presets For Serum 1 is a selection of 30 Serum Presets created by Erb N Dub. Each preset has been carefully crafted into a user friendly patch that is ideal for drum and bass and other genres. Erb N Dub is primarily a drum and bass producer best known throughout the scene for recent releases on Ram Records and Technique Recordings. Gain a great insight into how Erb N Dub uses his sound design to create dance floor heavyweight smashers. 30 Analogue wavetables are a collection of wavetables that can be used within Xfer Serum. Each wavetable includes the analogue oscillators complete range from sine to saw to square to pulse. By recording each oscillator in this way it allows us to construct a Serum wavetable that works and acts in the exact same way the analogue oscillator would. Each of the 15 wavetables includes a stepped version and a smooth version. Analogue oscillators modeled include Moog Sub 37, Moog Voyager, Moog Minitaur, Arturia Minibrute, Dave Smith Mopho, Doepfer Dark Energy, Cheetah MS-6, Korg MS-20 and Access Virus TI (VA). 41 Xfer Serum Skins include the front panel (main window), as well as the corresponding color scheme racks, menus and other pop outs. In total for each skin there are 29 parts. Simply copy all 41 downloaded folders into your Serum skins folder and select from within Serum which skin you wish to use. Feeling creative? Why not use our photoshop template to build your own Serum skin. It’s simple and easy to do. All you need is Adobe photoshop and a basic knowledge of how to use photoshop. Using the photoshop template you can can edit every part of Serum’s skin to make it 100% customised and your own.